It's called the land of Fire and Ice...and it's home to some of the largest geysers and ice caps in the world. I'm talking about Iceland my fellow JetSetters! And it's on the top of my list of places to visit right now because it's a cool destination that also has some hot and rare fashion. Plus, how many people do you know who have been to Iceland? Wouldn't it be neat to say you've JetSetted there? 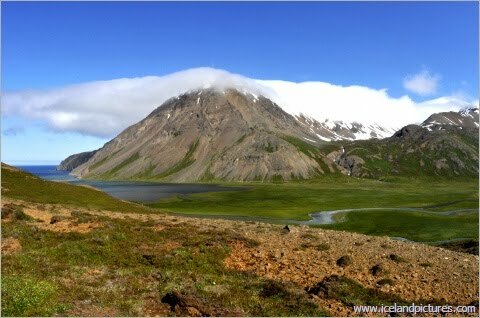 First, a little to know about the Iceland: While our spring and summer is their high season (also the most expensive times to go), Iceland still has plenty to do the rest of the year. As long as you don't mind a lot of hours of night (which I actually think sounds really cool), or bundling up to keep warm...if you travel to Iceland in the shoulder seasons of fall and winter you will get much better rates and will also be able to see the Aurora Borealis- some of the coolest natural light displays in the sky! 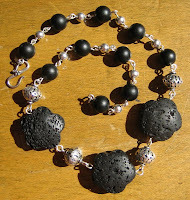 Now to the fashion: Lava jewelry! Yes, earrings, necklaces, bracelets and rings made with natural lava from the volcanoes of Iceland..that screams fire fashion to me for sure! Check out some of the designs I found. And with prices starting from $50, it's a smart purchase because it won't break the bank!